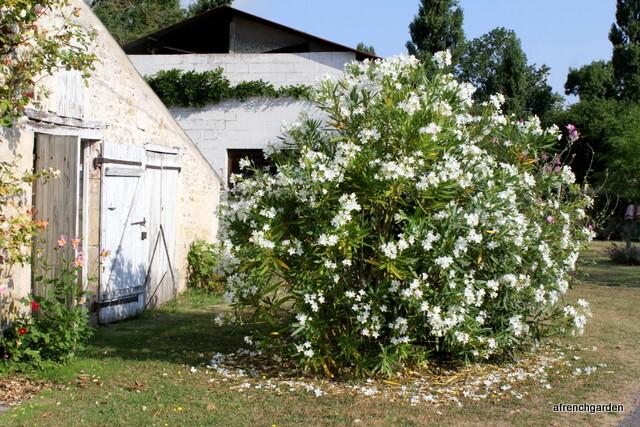 I have found the high temperatures of this summer difficult in the garden but there are some things that do well in the heat, like this white oleander outside the house. It was a mild winter and it was not frozen so it is looking its best ever. 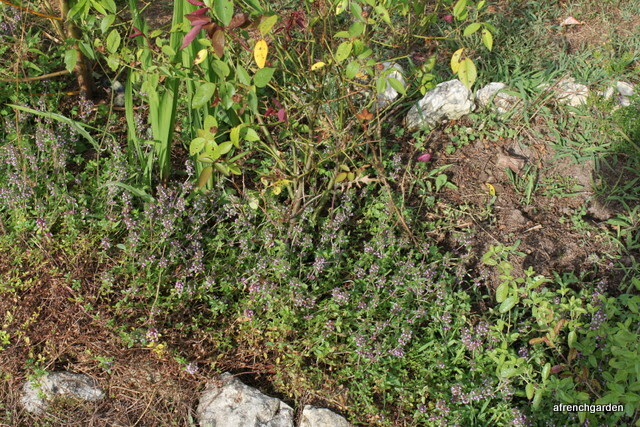 I would have never have planted it if I had known that it really needs to be protected in the winter here. However, I coddled it and wrapped it while it was little. Now if it freezes I will just cut of the damaged parts and trust that it will survive. 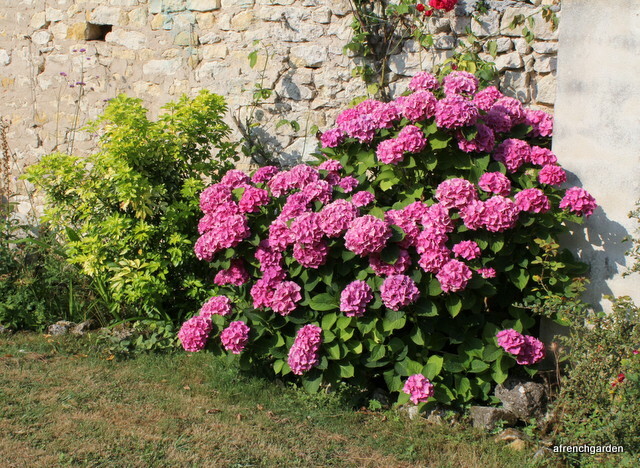 The Hydrangea has lapped up the sun and temperatures in the high 30’s centigrade (we managed to get to 40 degrees centigrade one day). 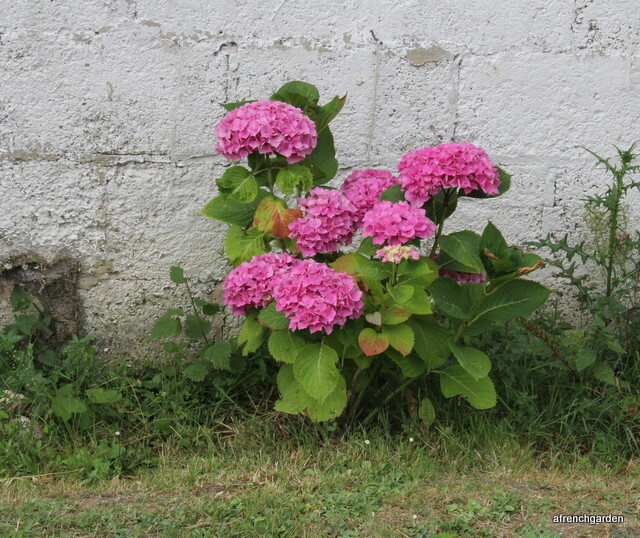 Even its little cuttings that are going into their second summer in a rough, dry spot beside a wall are surviving well. Not all the plants get such a tough treatment. I bought this Hydrangea, called “Savill Garden”, at Savill Gardens last October when they still had a lovely show of Hydrangeas. 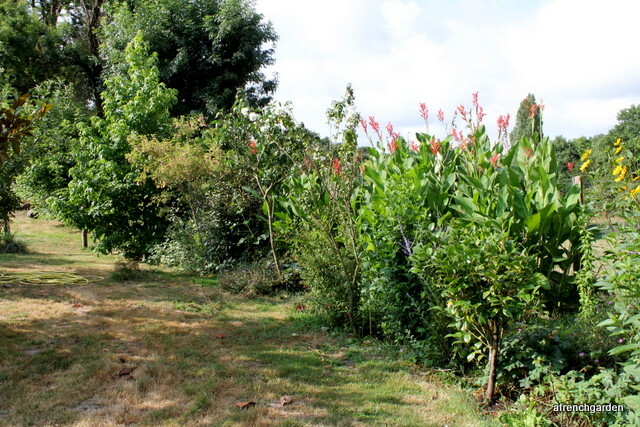 It is in my new “stick border” where I have to mark the new plants with a stick to make sure they don’t get lost in the weeds and I am watering these until they get established. The Canna has done a grand job in providing a screen where trees have either fallen down or been removed along my “stick border”. My lovely Choisia “Aztec Pearl” was moved last autumn to provide hedging but was not such a good choice as the Canna. 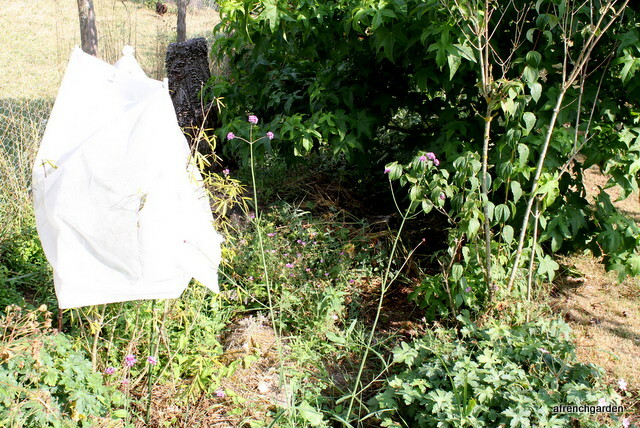 It may well succumb to heat stroke despite my improvised parasol. 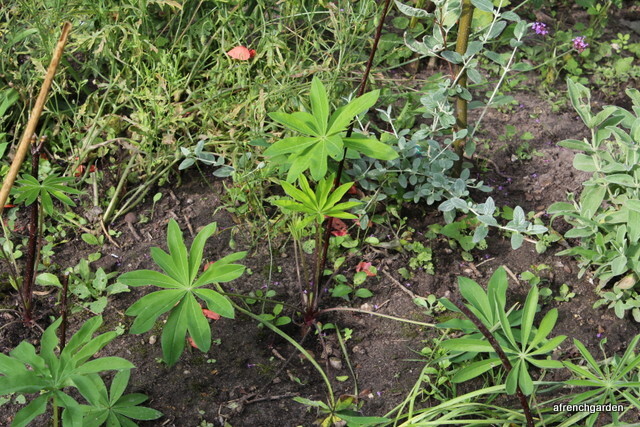 I only managed to raise five plants out of a whole packet of lupin seed I started inside in the autumn. They are supposed to flower in the first year but I’ll be lucky if they survive to next year. 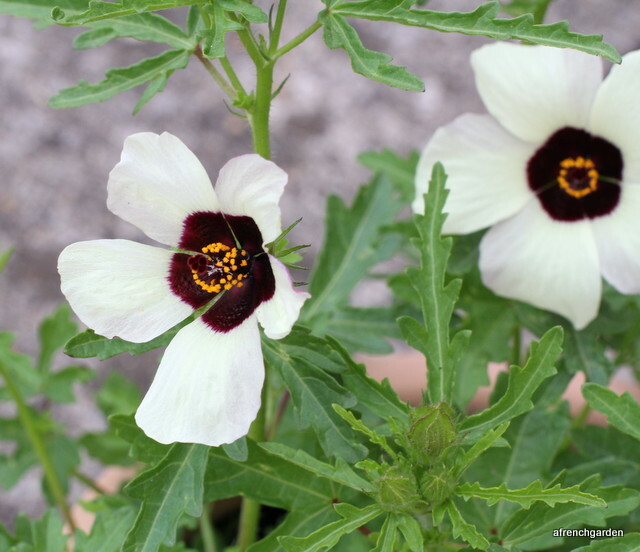 A happier outcome of my seed sowing are these Hibiscus tronium. I saw these during my visit to the Savill Garden last October. 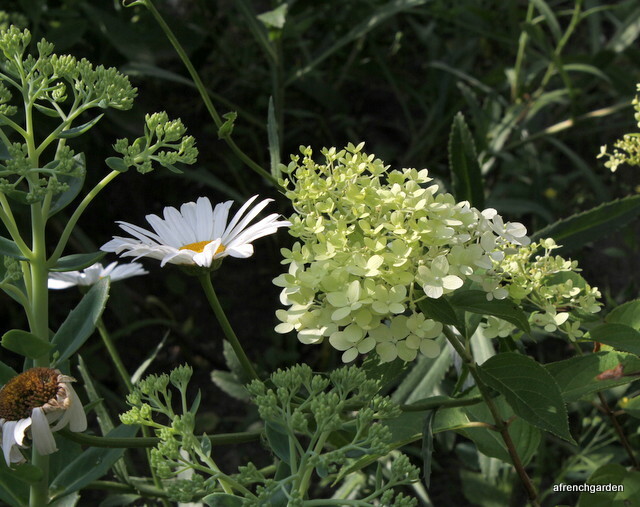 They are also called “Flower of an Hour” as the flowers do not last longer than a day. They were growing and flowering in a shady part of the garden in October although they are supposed to like hot, sunny spots. These are in a pot in full sun but I have others in the ground and I am looking forward to seeing where they will grow over here. At least the middle part of the “stick garden” is starting to take shape. 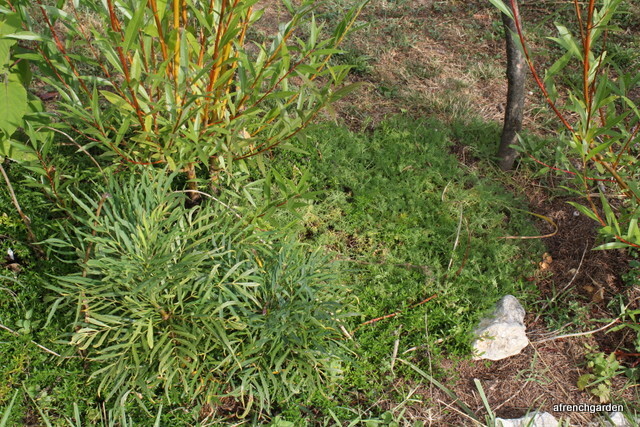 It now completes the circle started by the willows (Salix alba Chermesima) I planted in January of 2014.
the chamomile planted under the willows have provided a good ground cover. 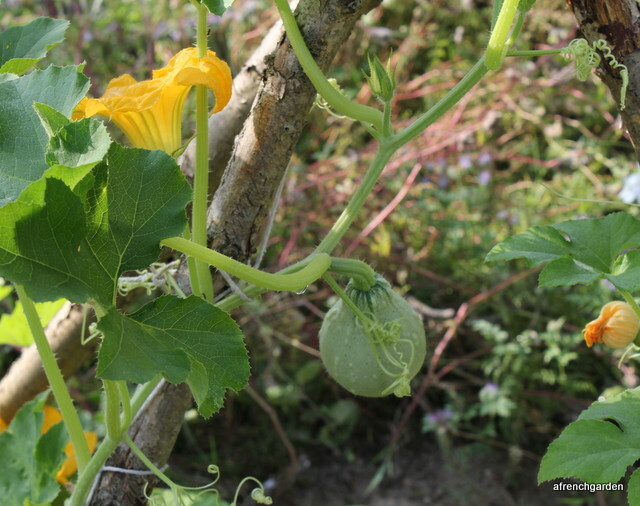 Our first butternut squash has appeared as have the tomatoes and courgettes. 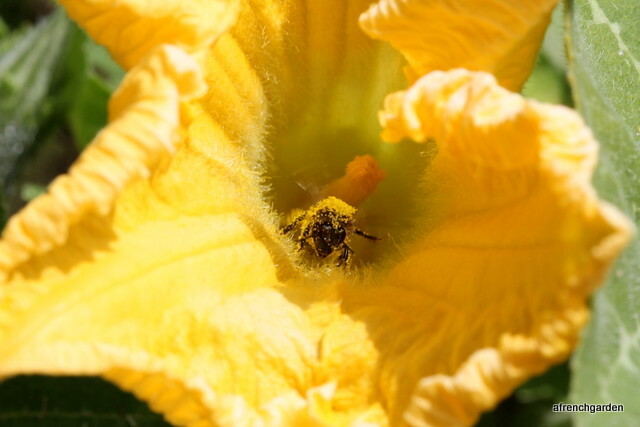 The squash and courgettes provide good early morning entertainment watching the bees hunt for the nectar at the base of their flowers then struggling out covered with the pollen. 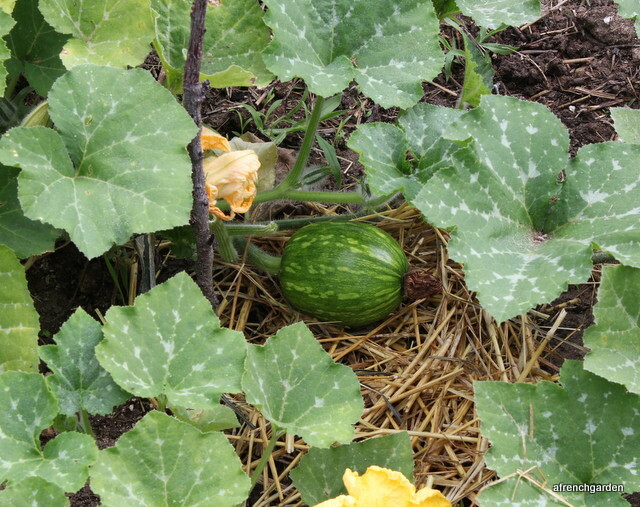 My husband planted some decorative gourd seed this year and I am looking forward to seeing the different shapes. He also bought a half price packet of wild flower seed at the supermarket check out – lured by the reduction and the picture of Maya the Bee on the front of the packet. 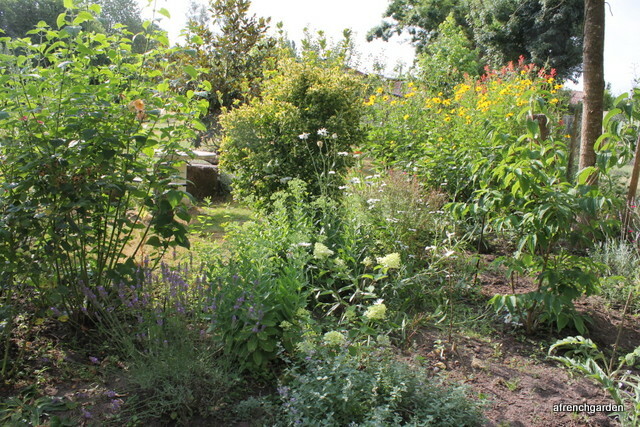 The seeds have been planted at the bottom of the garden as a special patch for the bees. We will see how it turns out. 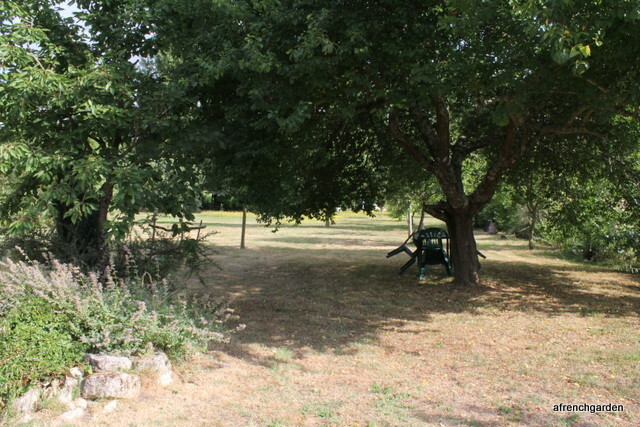 The plum tree provides a deep shade and a pleasant resting place for the blackbirds and other birds who do not share the sweet plums 50:50 with us. The chairs have to be upended and the table well washed before using it at this time of year. A radio placed in the branches playing France Inter will keep the birds at bay long enough to set the table. This is the time to watch the antics of the baby birds in the garden. 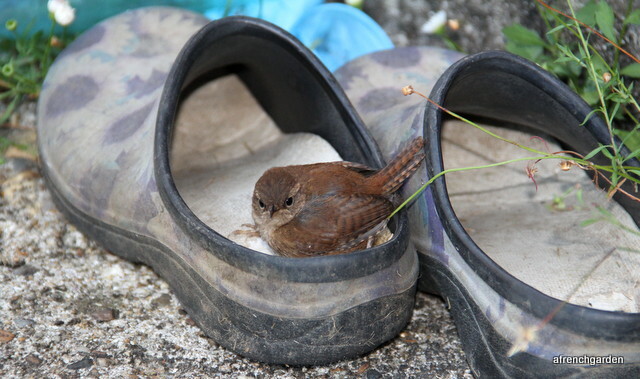 This baby wren was quite happy to stay in my gardening shoes on the patio. It is embarrassing to post a photograph showing the state of my gardening shoes but it could have been worse – it might have been a photograph showing the state of my gardening trousers. 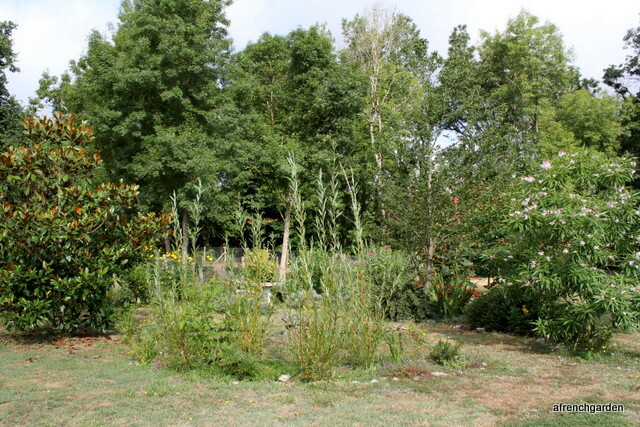 Categories: Garden, Gardening | Tags: gardening, Hibiscus trionum, Hydrangea Savill Garden, Salix alba Chermesima, wren | Permalink.